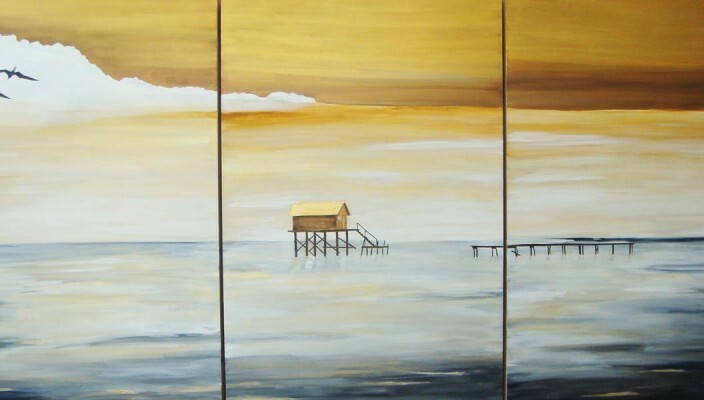 A series of three paintings by Linda Paul that can be used for bedrooms and living rooms alike with each open to varied interpretations. This creative and amazingly sensible range of three paintings is a metaphor by a known artist, Linda Paul. The paintings can be used in a series for creating a pattern in itself. The paintings are easy to understand and comprehend, which makes them viable for all kinds of interiors and room decors. Ideal for living room and bedrooms alike, the design is open for many interpretations with every painting being incomplete without the other.